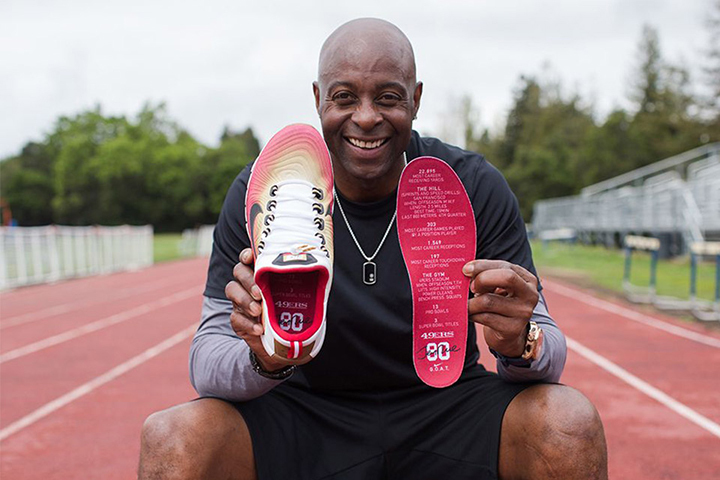 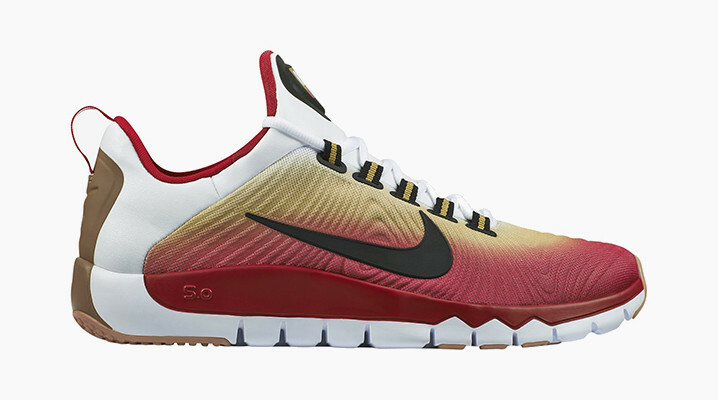 Today, Nike released a special edition of their brand new Free Trainer 5.0 in collaboration with retired NFL star Jerry Rice. 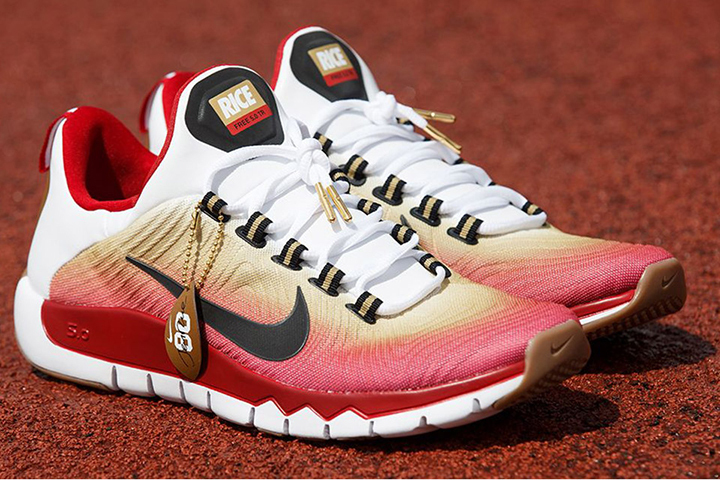 The Nike Free Trainer 5.0 Jerry Rice edition comes in a signature San Francisco 49ers colorway with equal measure red, white, and gold. 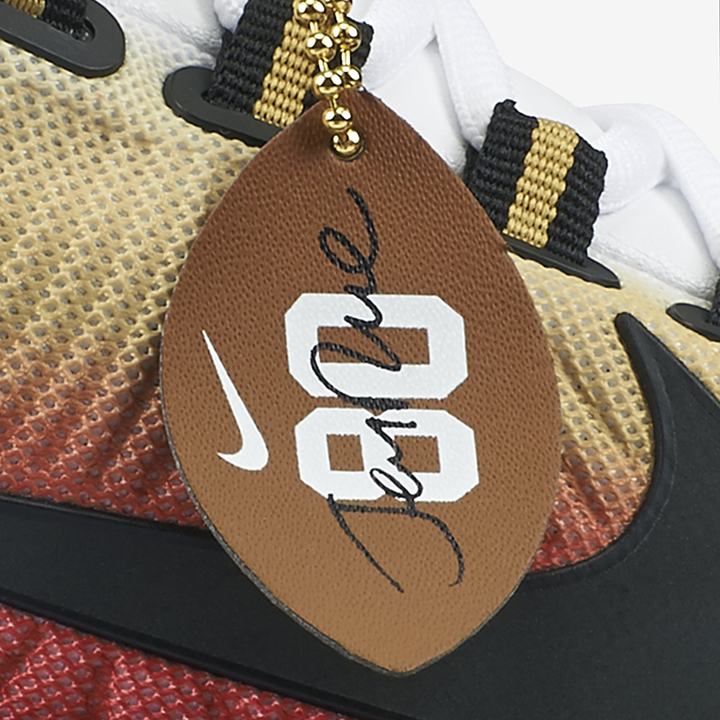 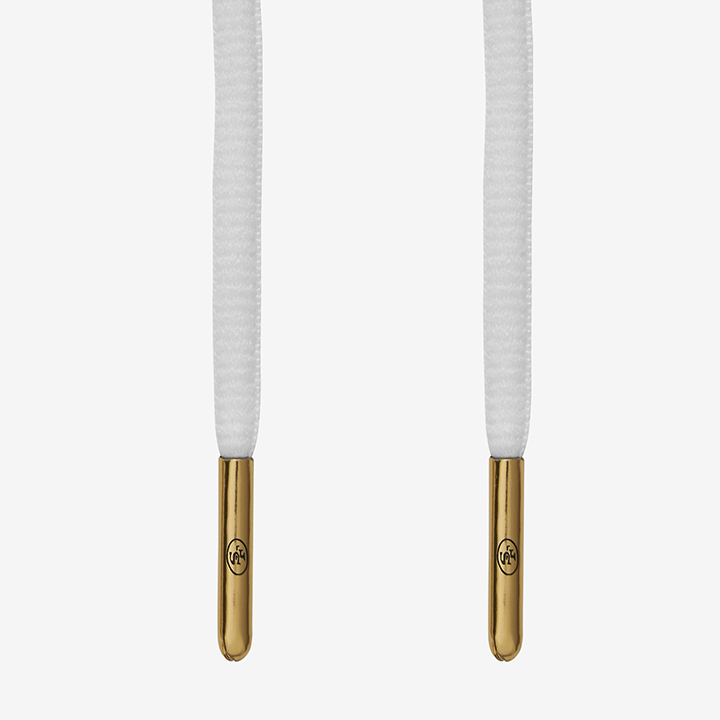 The details are spectacular from the gold SF tipped laces to the custom badges and leather hang tag. 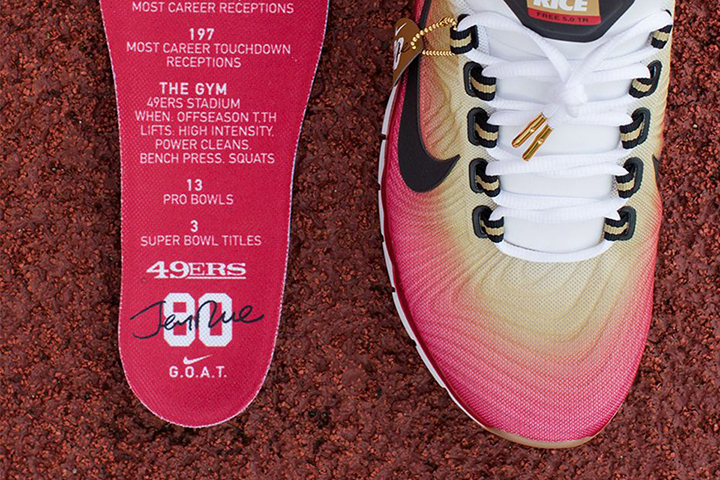 Even the insole is tricked-out with some of Rice’s best stats. 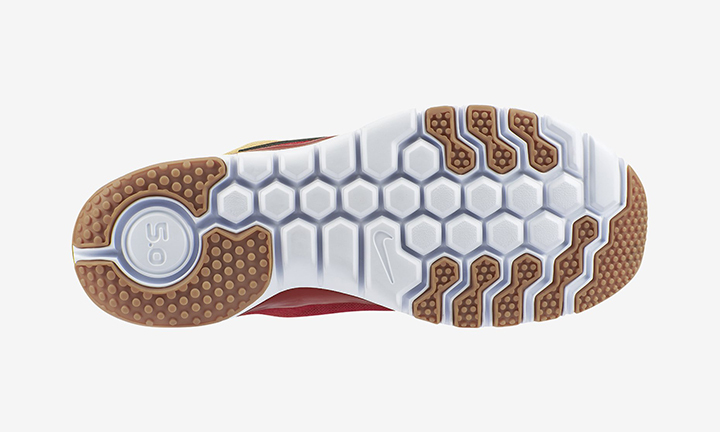 The Free Trainer 5.0 itself is a damn fine sneaker and this edition takes up another level. 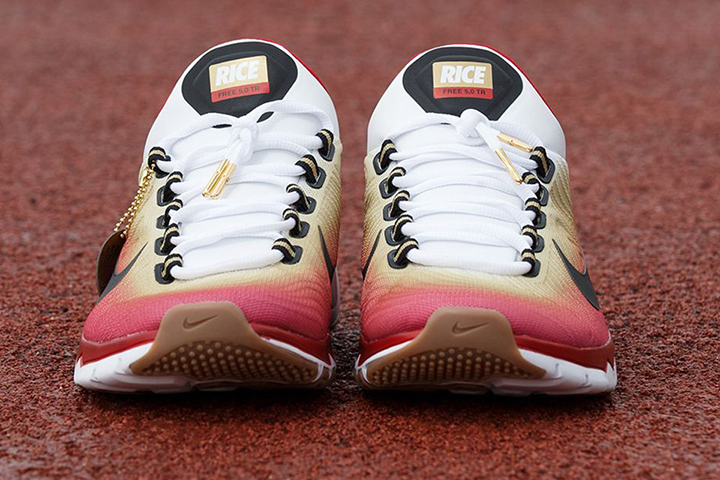 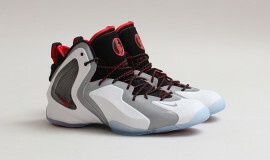 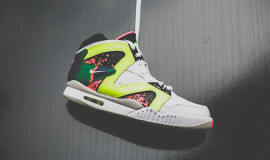 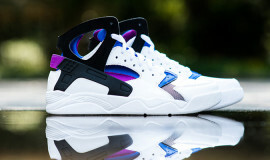 Check it out below and cop it for $110 from Nike’s online store and at select stockists.